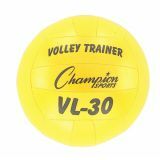 The Lightweight Volleyball Trainer 18 panel training balls are 20 percent bigger and than normal volleyballs, and 20 percent lighter Each panel is made of soft hand sewn vinyl covered nylon over a tough rubber bladder. 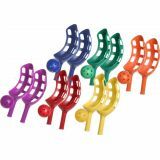 Scoop ball set of 6 includes one each of: blue, green, orange, purple, red and yellow. Blue Wrist Weights - 3 Lb/Pr. 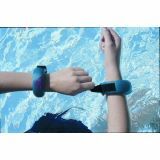 Blue wrist weights - 3 lb./pr. - comfortable lycra covered neoprene jackets. 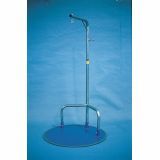 Adds resistance for aqua aerobics or therapy. 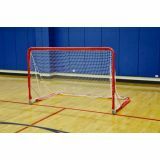 Use this convenient goal for quick games in the gym, street or driveway. Rolls easily on non-marking wheels and folds flat for storage. 4'H x 6'W. 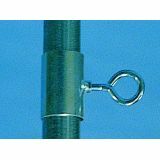 1-5/16" O.D. 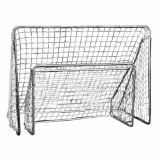 steel frame that includes a durable knotless nylon net with vinyl sleeves (one red, one blue) with hook-and-loop closure. 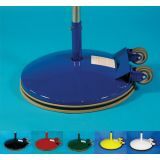 Vinyl Floor Marking Tape is designed to mark your gym floors, courts, or any hard smooth surface. 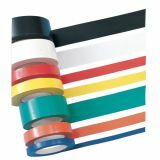 Made of tough vinyl, this floor tape comes off clean and won't scuff your floors, but is strong enough to hold up to foot traffic and equipment! 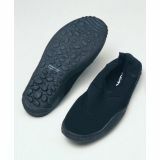 Female water shoes size: 9 - soft nylon jersey upper. Spandex form-fit arrow. Molded tpr sole. 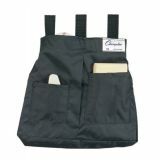 The Champion Sports Umpire Ball Bag is a great tool for any baseball official. This handy black bag attaches right to your belt and holds six balls, one umpire brush, and one indicator. 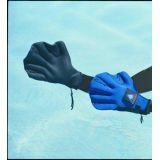 All-neoprene force gloves-small -zipper closure w/lock. Neoprene palm. All neoprene construction. Webbed hand. Increased hand resistance.